As part of its efforts to empower national associations in Africa, the International Table Tennis Federation (ITTF) has boosted the fortune of table tennis in Uganda with donation of equipment. 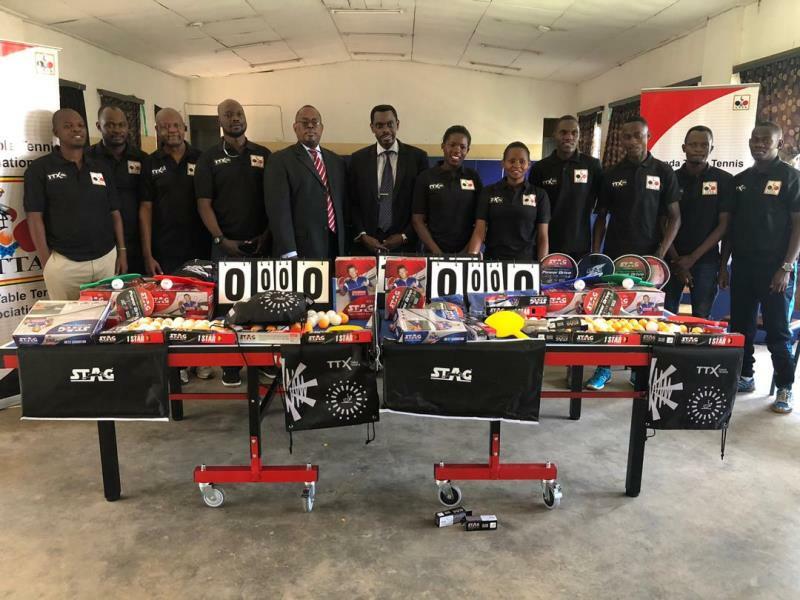 And magnanimous in the gesture, the Uganda Table Tennis Association (UTTA) has decided to deploy the equipment to schools across the East African nation. “We wish to thank ITTF for the generous and timely equipment offers to Uganda. As you may be aware the tables at our National Training Centre had become dilapidated due to their old age of over 8 years. Old tables also give our players a totally different feel in terms of the way the ball bounces off the table. The new tables will therefore help our players train effectively for our two major upcoming table tennis Competitions i.e. ITTF Eastern Africa Senior Championships to be held in Uganda in July 2019 and then the All Africa Games holding in Morocco in September 2019,” UTTA boss added. UTTA helmsman lauded ITTF for their kind gesture as well as National Council of Sports (NCS) and Uganda Olympic Committee (UOC). “We wish to thank ITTF for this generous and timely equipment offers to Uganda. We want to thank in a special way the National Council of Sports (NCS) for giving us the funds that were used to clear the taxes and storage fees of this equipment. In particular we want to thank the Acting General Secretary Dr. Ogwel and the Chairman Mr. Onyik Bosco for ensuring timely release of the funds,” he added.